Happy Turkey Day week everyone! I hope you all will get to take some time to relax and enjoy the company of family and friends this weekend. Over here we will be enjoying lots of food, family, and football! “Here we go Steelers, Here we go!” Whether you are a football fan or not here are some of the best things to watch this Thanksgiving break. So, kick your feet up, relax and tune into some of these binge-worthy programs. The annual Macy’s Thanksgiving Day Parade will be broadcast on NBC @ 9 am (in all timezones). I think the best way to watch NBC as a cord cutter is using my favorite HD Antenna to bring in your local NBC station. Tune into this American tradition and cheer on your favorite team while the bird is in the oven. All of these games can be watched using and HD antenna. The new kid favorite, Zootopia, is on Netflix right now. Or, pop some popcorn and turn on Finding Dory or The Jungle Book. Both can be rented from Google Play (check out my trick to earning free rentals!) or Amazon Video. Netflix will release all 4 episodes of Gilmore Girls: A Year in the Life this Friday, November 25th. If you like getting all nostalgic around the holidays then tune into the Mystery Science Theater 3000 marathon on Thanksgiving day! 6 of the most popular episodes will air back-to-back, starting at 9 am, on Shout! Factory TV. You can watch Shout! Factory TV for free on the Pluto TV app (CH515) on your Roku or Fire TV. TBS will carry 5 straight hours of Friends from 11 AM to 4 PM followed by The Big Bang Theory from 4 PM – 8 PM. The best way to watch TBS is through the Sling TV Orange package for only $20 per month. If you haven’t tried Sling then signup for their 7-day Free Trial now! TBS will also be airing a Star Wars marathon the day after Thanksgiving. Starting at 6:45 AM they will show The Phantom Menace, Attach of the Clones, Revenge of the Sith, A New Hope, The Empire Strikes Back, and Return of the Jedi. Instead of fighting the crazy crowds at the mall, curl up on the couch and shop all the hot deals on Amazon from the convenience of your laptop. Happy fall everyone! My favorite time of year! The leaves are changing, it’s football season and all my favorite shows are back with new episodes! With all that awesome it also means the days are getting shorter and our routines are getting busier. That’s why today I want to introduce you to your new best friend for this TV watching season, Hulu. Hulu is a premium streaming service that offers its subscribers access to episodes of their favorite TV series. Hulu includes programming from 3 of the 4 major networks: NBC, Fox, and ABC. The great thing about using Hulu is that you can watch shows on-demand, whenever it’s most convenient for you, starting the next day after they air live. Hulu even lets you watch some shows on premium channels like Cartoon Network, Disney Channel, Comedy Central and Nickelodeon. Hulu has been around for a while but has really grown in the last few years. They even produce their own content now, like The Mindy Project and The Path starring Aaron Paul. You can stream Hulu through their app on Roku and Fire TV or a number of other ways that you can see on their website here. If you’ve been wanting to try out Hulu there’s no better time than now. Just follow my guide below as I show you how to get everything setup and running. I really enjoy using Hulu. They have a really nice interface that makes it easy to find and favorite the shows I routinely watch. The streaming quality is really good as well. I’ve been the most impressed with the amount of content you get with your subscription, including cartoons for kids and even movies. The only thing I don’t particularly care for are the ads that take the place of commercials. It makes it a little difficult when trying to fast forward through part of a program, but I guess I could always up my subscription to the commercial-free option if it bothers me too much. What does everyone think of Hulu? If you’ve used it before, what do you like or dislike? If not, are you thinking of giving it a try? Whether you aren’t home when your favorite show airs or you just don’t have time to sit down and watch TV until the kids go to bed, the good old DVR has become a necessity in today’s fast-paced world. When considering the life of a Cord Cutter you may be freaking out because no cable box means no DVR! Rest assured, there are plenty of ways to binge your favorite sitcom without paying for high priced cable. As a cord cutter, you need to shift your thinking from DVRs to On-Demand. Instead of having to schedule, update, and delete recordings for your favorite shows, there are services out there that publish the episodes as they air for you to stream, from the cloud, whenever you want. Here are some of my top ways for cord cutters to watch shows on-demand, without a DVR, after they air. You can watch major network shows the day after they air with a few different subscription services. The most popular option you may have heard of is Hulu, which carries shows from NBC, FOX, and ABC in addition to other networks as well as some original content. For $7.99 per month, you can watch new episodes the day after they air with advertisements or commercials. For ad-free viewing, you can add the “No Commercials Ad-On” for an extra $4. The Hulu subscription also includes past seasons of shows for your binging pleasure. CBS does its own thing separate from Hulu. They offer their service, CBS All Access, for $5.99 per month. With your subscription to CBS All Access, you can watch new episodes of CBS shows the next day after they air and you get access to complete past seasons as well. There is also a commercial free subscription for $9.99. Both the Hulu and CBS All Access services have apps for Roku and Amazon Fire TV. If you don’t mind waiting a few days after a show airs, there are a few free and cheap ways to watch. From your computer’s internet browser, you can watch shows on Yahoo View (which is a collection of what’s available on the NBC, FOX and ABC websites). New episodes are made available about a week after they air and usually the last 4 episodes are able to be streamed. It’s completely free to watch, but you will have to sit through the occasional advertisement or commercial. If you’re after shows that are broadcast on CBS, then head over to CBS.com to see episodes for free with similar availability and viewing terms. Most people aren’t fond of sitting in front of the computer screen and prefer a more “TV friendly” way to watch the free shows available on the network websites. If that sounds like you, then try out PlayOn. For a one-time fee of $59.99 (or less, they run sales often!) you can download their software which runs on a Windows PC. You add what they call “channels”, which are essentially links to the websites of NBC, FOX, ABC and CBS, and then the software on your computer “casts” the videos from those channels to the PlayOn app on your Roku or Fire TV. It works really well and the PlayOn app lets you navigate the websites through menu options, so it’s really easy to find the latest episode of your favorite show. You can even watch shows on premium stations after they air if you subscribe to one of the over-the-top streaming services. If the shows you like to watch are part of your Sling TV subscription, then check out their own On-Demand selection right in the app. You can do this by selecting a station in the app, pressing the down button and then selecting the show you want to watch. Sling usually carries the most recent season or two and you can even catch episodes right after they air. PlayStation Vue also has a few ways to catch up on your favorite shows. In addition to the On-demand content offered by Vue, you also have a 28 day DVR built into the service that lets you “save” your favorite show to view at a later time. If after all these options you still don’t think you can survive without a DVR, then you can always buy your own Over-The-Air DVR. 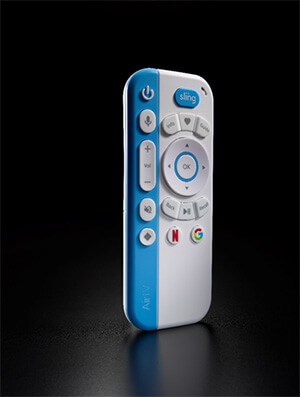 The Tablo DVR is one of the best OTA DVR’s on the market today. You buy the DVR box, plus a USB hard drive, connect your HD antenna to the back and login to your home WiFi. 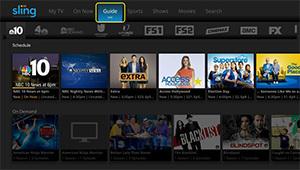 The Tablo DVR then records shows from any channel that you can receive over-the-air and when you are ready to watch, you stream the show from the DVR through an app on your Roku or Fire TV. The shows are saved on your hard drive for as long as you like. If you’re interested, you can learn more on Tablo’s website. I suggest trying out all the options above for yourself to see which one fits you the best. They even offer free trial periods so you don’t have anything to lose. So, do you think you can survive without your DVR? Which of the ways to watch sounds like the best option for you? One of the best parts about cord cutting is that you get the chance to explore all the apps that are available for streaming television and movie content. What you will find is that there are a lot of apps that offer great content completely free. That’s right, zero, zilch, nada…FREE! So before you go out and sign up for a bunch of subscription based services, check out my list below of the best apps to watch FREE streaming content. All of these apps are available on Roku and Amazon Fire TV. 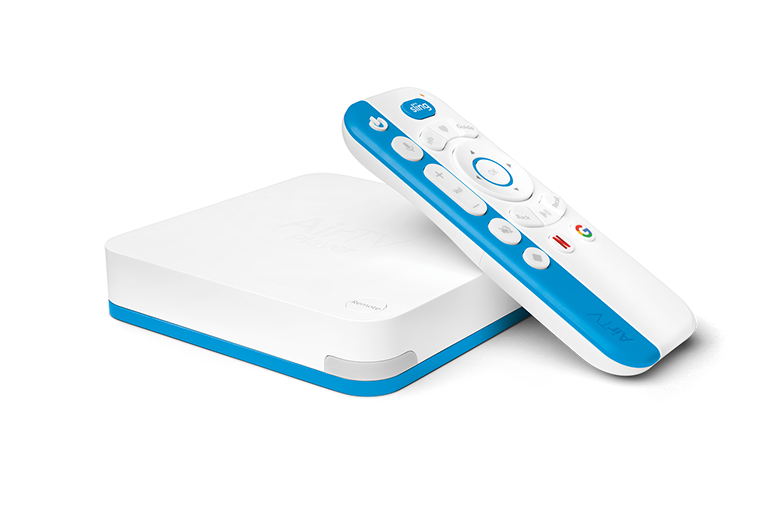 If you’re not sure which to get, check out my previous post to help you decide which streaming media player is the right choice for your household. Pluto TV – Pluto is like public access television meets internet videos. What do I mean by that? The team at Pluto spends hours searching the internet, finding and organizing free videos into categories, or “channels”, that stream 24/7. The content is mostly from YouTube but also from big broadcasting sites like NBC and Bloomberg. They have everything from News, Sporting Events, Documentaries, Kids programs, even a channel dedicated to nothing but yoga lessons. Crackle – This is Sony Pictures Entertainment’s totally free answer to the popular paid services like Netflix. Crackle offers a rotating selection of classic movies and television series in addition to a collection of some original content like Comedians in Cars Getting Coffee and Sports Jeopardy! Tubi TV – Tubi is another free alternative to Netflix. They offer a collection of TV series and movies to stream right to your living room. You will find mostly “oldie but goodie” classics and some hidden gems like those in the Cult Favorites and Good Eats sections. Tubi currently has the largest library of free TV and movies on the internet. Popcornflix – This is one of the original completely FREE streaming services for movies and webisodes. Most of them fall into the independent and classic genres, but they are entertaining none the less. Popcornflix really stands out in the Family section, offering a ton of classic kids movies and TV shows. PBS Kids – For kids, one of my favorite apps is PBS Kids. They offer totally free episodes of all the favorites, like Sesame street, Daniel Tiger’s Neighborhood and Odd Squad. There are usually about 4 free episodes available for each show and they add new episodes every couple days. Disney Junior & Disney Channel – If you have kids that are into Disney shows then the Disney Junior and Disney Channel apps are a must. Younger kids will love watching episodes of Doc McStuffins, PJ Masks and Mickey Mouse Clubhouse. For older kids, Austin & Ally, Descendants Wicked World and Girl Meets World episodes will be a big hit. CBS News – The best way to catch all the latest breaking news stories is through the CBS News app. They offer a 24/7 live stream of national news as well as a selection of highlight clips. Everything from in-depth looks into what’s going on in the world to worldwide coverage of breaking news as it happens. Weather Nation – It may seem silly to watch a weather channel on your TV with all the phone weather apps out there these days, but nothing replaces the security of having local forecasts and radar on your TV while that big storm is rolling in. They also follow some interesting stories, so this can be a great stream to just leave on in the background while you are busy at home. Let’s talk internet for a bit today. From my experience, one of the most overwhelming parts for Cord Cutters when making their transition to a cableless household is getting internet-only service setup. Most of that is due to uncertainty, but in reality, it’s not all that difficult once you have all the steps and resources laid out for you. So keep reading on as I break this process down for you. Cable internet is delivered to your home over the black coax cable that you typically plug into the back of your TV, where DSL internet is delivered over your existing phone line. Whenever available, I suggest choosing a cable internet provider over a DSL internet provider. Reason being, cable internet is generally faster and a better value. There are a lot of different cable internet providers across the United States (Comcast/Xfinity, Time Warner Cable, Cox, Charter), but usually, there is only one or two that will service your residence. To figure out which ones are in your area and to see their current offers, I like searching allconnect.com. Internet providers have packages that span across a large range of speeds, measured in Megabits per second (Mbps). They start out basic (“granny just wants to do emails”) and go all the way up to enterprise speeds (“I want to run a Google server in my basement”). To be a cord cutter and stream movies, shows and live TV you don’t need anything too crazy. It all really boils down to how many different things you think you will want to stream at a given time. If you only have one TV or live alone then you can get by with something towards the basic end of the spectrum. If you have a family of 6 and everyone likes to watch something different at the same time, then you should consider something a little faster in order to get the best experience. In general, I suggest going with something around 25 Mbps. This will work well for most people, giving you a reliable connection that is fast enough to handle 2 or 3 devices streaming at the same time while staying at a reasonable monthly payment. Traditionally, cable companies have used contracts to strap you into long term agreements, that you can’t get out of, then they slowly increase your monthly payment over that term until your paying an absurd amount for a service you just paid a fraction for a few months prior. When you are getting quotes from your local internet companies always ask for “No contract offers”. Tell them you aren’t interested in signing any contracts and just want a reliable internet connection at a fair price. Speaking of price, I have always found that it is best to do your homework ahead of time before you start getting quotes. The best way to check out the current deals is to search on slickdeals.net for the internet companies name plus “internet promotions” (ex. “Comcast internet promotions”). Click through to the end of each post to see the most recent discussions on internet offers people are receiving. Go with the ARRIS SURFboard SB6141. This modem has the latest technology, so your investment will provide a blazing fast connection for years to come. Also, this guy works with all the major cable companies like Comcast/Xfinity, Cox, Charter, Time Warner. The TP-LINK Archer C7 is widely considered the best WiFi router for most people. It can broadcast super fast WiFi throughout your typical multi-story home without any problems. This is my top choice for sure. However, if you only need to cover a small area, like a one bedroom apartment, then you could opt to go with something a little more basic like the TP-LINK N450 and save a little money. I hope this information helps guide you in your search for Internet only service. If you have any questions or comments please don’t hesitate to leave a note in the comments below.